November is a special month for the Alabama Eye Bank – National Eye Donation Month. This month focuses on raising awareness for eye donation, encouraging people to register to be donors, honoring the families of past donors and celebrating cornea recipients. For more information or to obtain a registration form please call 334-272-6152. 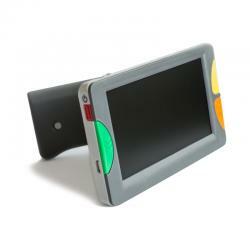 Check out the the VD430 New Generation Video Magnifier. 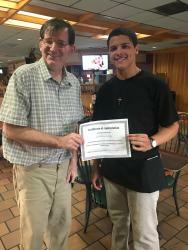 Preston, an employee at the Selma, Ala. Golden Ranch Bar-B-Q and Grill was presented with a customer service award from V.I.P. He greets customers with a smile and makes sure they feel special. He even goes the extra mile to help you order - if needed. This Dallas County high school senior is truly making a difference! Deja is a server at Texas Roadhouse in Birmingham, AL on Cahawba Valley Road. She was awarded with a certificate for exceptional service by VIP for going the extra mile to help customers with special needs and requests. No matter the issue, she did it with a smile and showed kindness. She made you feel like you had a friend. V.I.P. 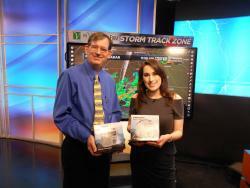 would like to thank WSFA TV 12 for donating 2 autographed weather radios to us for our "2018 Low Vision Awareness Day". The radios will help the visually impaired stay tuned to severe weather, when the power is off. A special thanks to Meteorologists Josh Johnson and Amanda Curren for believing in our cause. The 2018 Low Vision Awareness day & Expo was a huge success. 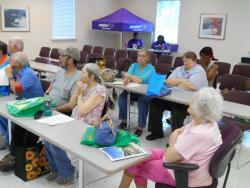 The event was held at the Dallas County Health Department in Selma, Alabama. The purpose of the day was to make the visually impaired feel important.